On one hand, the word "mistake" may be too harsh. Every teenager is different, and only you really know if your son or daughter is happy and flourishing. Therefore, who is to say what a parenting mistake is and is not? On the other hand, "mistake" may not be harsh enough. Raising a teenager is the most important job in the world, and if you err as a mother or father, the word "mistake" may not fully convey the seriousness of the situation. Chances are though you're not making any of the 25 mistakes listed below. Maybe you're close on one or two, but nothing to really worry yourself about. So use this list as a reminder of what not to do as a parent. However, if you realize you're making many of these mistakes, it's probably time to sit down with your husband or wife and reevaluate your roles as mom and dad. Remember, it's never too late to change. 1. Accepting any behavior because of age – Although it's a scientific fact that adolescents undergo traumatic emotional and physical changes, that fact should not be an excuse to be allowed to behave inappropriately. Often, adolescents who are allowed to behave badly do not grow out of that behavior as grown-ups. Character is character at any age. Behavioral expectations should be related to what is right, not the age of the teenager. 2. Attack the child rather than the behavior – It’s essential to make sure your adolescent knows that you love him despite anything he does. Even greater, you love him enough to not let him develop behaviors that may be harmful to him or anyone else. Direct your criticisms and comments at the behavior, not the adolescent. If your adolescent fails a course due to lack of effort, don’t use phrases like “You’re lazy” or “You’ll never do well because you don’t try.” While you may even feel that these thoughts are accurate at the time, they only condemn and don’t solve the real issue. Focus on the behavior that created the problem (e.g., not studying, not asking for needed help, etc.). Be sure to express that you’re not only confident that the behavior can change, but you’re expecting it to change. Then work together on specific restrictions and actions that need to take place for the behavior to improve. 3. Bargaining with your teenager – “If you do ____, then I will get you/allow you to do _____.” Manipulating your teenager to make your life easier will only reap short-term benefits. Give them choices, but make sure you let them experience the consequences when they choose poorly. 4. Being a friend rather than a parent – Adolescents usually have more than enough social outlets. They need boundaries and safe, secure situations in which to grow. You are the provider of both, and when you act like a friend, your adolescent will lose security. Adolescents who view their moms and dads as authority figures and providers are more likely to be close to them in adulthood. Despite what appearances might suggest, adolescents do not respect moms and dads who behave like adolescents. Relating to your adolescent, based on your own experiences, can be a successful method of working through challenging situations, but at no time should you lose your parent status. 5. Criticism and comparison – No one enjoys criticisms or comparisons. Yet many moms and dads compulsively criticize and compare their teenagers daily. “Why can’t you be more like _____?” or “Why are you so _____?” This is a surefire way to impair your teen’s esteem and damage her fragile ego. Teenagers who are criticized grow up to think of themselves as outsiders and underachievers. They don’t celebrate their strengths because they were never taught to, a direct result of having internalized their parents’ negative voices. It only takes a thoughtless moment to hurt your teens with criticism or comparisons — but it can take a lifetime for them to recover. 6. Disregarding learning problems – Many academic and behavioral problems are the direct result of undiagnosed learning difficulties. Impatient moms and dads, too quick to label teens as being lazy, unmotivated, and apathetic about school, often fail to consider what might really be triggering their teens’ attitudes toward learning. Even exceptionally smart teens suffer from difficulties with processing speed, executive functioning and sensory and memory deficiencies. These under-the-radar complications often don’t emerge until middle school or high school. Such difficulties make learning a painful and exhausting experience. So save your money. Psychotherapy isn’t going to help resolve these problems in the least. If your son or daughter has even the slightest difficulty with learning, an educational evaluation is the first step to finding a solution. 7. Focusing on discipline rather than coaching – It is your job to correct misbehavior. It is also your job to coach your teenagers during times of good behavior. Parenting is not only reactionary, but proactive as well. 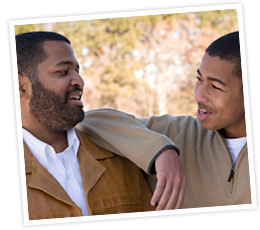 Is your teenager lacking in a certain area of his character? Focus in training him in that area rather than disciplining him when it is absent. 8. Getting engaged in power struggles – In a game of tug of war, there is only tension on the rope when two people are involved. Drop your end, say your peace and walk away. Let your actions communicate your authority. 9. Giving in after saying “no” – Little lawyers often make impressive arguments as to why you should change your mind. But if you do so, you will only encourage them to do this more. Think first, and then talk. This will help you to avoid impulsive or irrational commands. Then stand your ground, even if you are shaking in your boots. 10. Ignoring problems due to parenting insecurities – “Hear no evil, see no evil, speak no evil” only works if you are a carved monkey. If something is wrong, try to address it – even if you don’t have any clue what you are doing. If you make a mistake, try again. Often there is no “right” way to address a problem. However, doing nothing will never be right. 11. Invalidating feelings – When your teenagers reveal their feelings and insecurities to you, for goodness sake don’t contradict them, correct them, offer unsolicited advice, or use it as an opportunity to lecture about your experiences. Remember, they are taking a risk in doing so; therefore, your sensitivity is imperative. Teens want to feel understood, and they want to feel validated by their moms and dads. Many symptoms of hyperactivity, defiance, and mood problems are generated in teenagers of moms and dads who invalidate their feelings. 12. Irrelevant consequences – Whenever possible, the consequences should be reflective of wrongdoing. For example, if an adolescent returns home after curfew, limiting his nights out temporarily would be appropriate. An adolescent that doesn’t complete school work might be required to miss a social event to complete the work. If the adolescent misses the social event as a discipline, but doesn’t actually do school work, the consequences don’t make sense and just seem spiteful. 13. Lack of consistency – While all children need consistent discipline, it’s even more important for adolescents. They get frustrated when a behavior is acceptable one day and not acceptable the next. The established rules need specific consequences. Realistic and consistent consequences demonstrate a “real world” view for adolescents. Creating house rules with consequences, then responding appropriately, provides all teenagers with security and direction. 14. Lose your sense of humor – It’s not funny when your adolescent messes up, particularly when you’re left to clean up the mess. Losing your sense of humor won’t help. It may not seem funny at the time, but most challenging situations can eventually be viewed in a comical way. If your adolescent feels comfortable laughing and joking with you regularly, she’ll also be more likely to listen when you get serious. 15. Not listening – Moms and dads want to be respected but don’t always return that respect by listening to their adolescent. Not listening to your adolescent expresses that you don’t feel he has anything valuable to say. Even when disagreeing, adolescents should be given time to express their feelings and thoughts. This shouldn’t give an adolescent the right to be ugly or behave inappropriately, of course. Modeling and developing guidelines for how argumentative ideas should be expressed is essential. If you want to be heard, learn to listen. 16. Paying too little attention – Too much time with social media, TV, telephones and computers leaves little time for your teens or family. Shuttling everyone around in the dual DVD-equipped mini-van does not count. Put down the technology and get to really know your teens. 17. Paying too much attention – Micromanaging every detail of your teens’ lives will communicate that you think your teens would be lost without you. Give them a chance to fly on their own, but stay close by so you can send in the rescue team if need be. Boundaries: honoring and respecting the physical and emotional space between people. Limits: curbing destructive or risky behaviors by engendering good judgment. Structure: consistent schedules and routines. Some moms and dads are too strict with limits; some don’t provide enough structure or boundaries. Strive to find the right balance for your teenagers and they will be better prepared for relationships, jobs, and the world outside your door. 19. Punishing in anger – Sometimes moms and dads only discipline once they have reached the end of their patience. In reality, this allows adolescents to misbehave for a period of time before suffering any consequences. Not only is this confusing, it can also lead to abuse. Dealing with an adolescent emotionally often produces dramatic immediate effects, but ultimately it creates a communication wall in the relationship. Consistent parenting, as described above, prevents punishing in anger. Stepping away from the situation to recover emotionally also proves helpful. 20. Stopping your adolescent from failing at all costs – Some of life’s greatest lessons result from failing. Moms and dads who micromanage their adolescents because they are afraid of their adolescent failing prevent their son or daughter from developing important life skills. As much as you don’t want to have to discipline your adolescent, letting him fail and living with the consequences can teach him more than your chosen discipline. 21. Talking too much – Lecturing on and on past the point when your teens have stopped listening will accomplish little. Rational arguments in the heat of the moment will fall on deaf ears. Save your words of wisdom for times of peace. 22. Thinking “more” is the answer to your problems – Not all problems can be fixed by doing more of the same. More attention to an attention-addict won’t help. More toys for a chronically bored kid will backfire. Getting harsher and stricter for a non-compliant, controlling teenager will do you no good. If something you are doing is ineffective, do less. Better yet, try something else. 23. Using guilt rather than reason – Guilt may create an immediate response, but this style of discipline actually promotes internal emotional issues for adolescents that may not be dealt with until adulthood, if ever. Reasoning with an adolescent, providing a basis for your expectations and consequences, does not always evoke an immediate response, but the long-term results are typically more positive. 24. Wanting to be your teenager’s friend – Trying to jump right over the struggles of the adolescent years to the “chum years” of young adulthood will never produce desirable results. Teens need moms and dads, not friends. They have enough of those. Give them what they secretly want and need: structure, rules, traditions and values. 25. You become the enemy – At times, you may feel like the enemy, and your adolescent might actually refer to you as such. Remain the one individual who consistently stands by your adolescent – no matter how hurt you may feel. Peers and educators will come and go. You will always be the mother or father. By establishing rules and consequences, you’re the one person in your adolescent’s life that holds her accountable – no matter what. Even if we don’t like authority figures in our lives, they typically establish order and security.